When you create your farm business in Cash Manager Focus, your first working plan is automatically created for you. As this is the plan you’ll revise and reforecast throughout the year, it’s important you enter your actual opening livestock numbers. 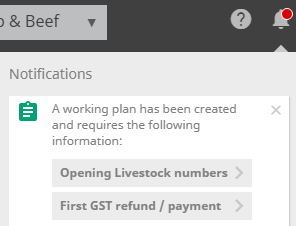 To remind you, a notification will appear in the top right corner of your screen, prompting you to enter opening livestock numbers into your working plan. Click on the notification bell. 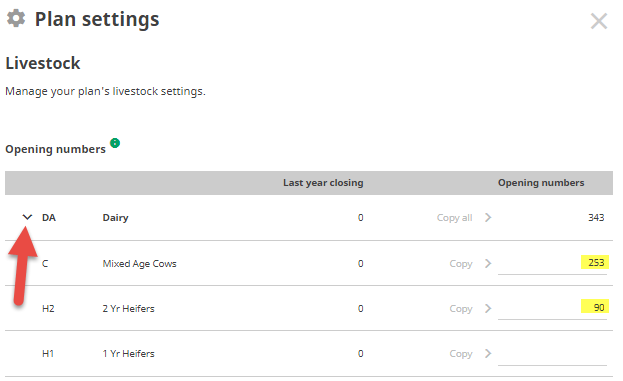 Select the message Opening Livestock numbers. You'll be taken to the Livestock screen of your working plan. Click on the Settings icon at the top of the page. Enter opening numbers for each stock class. TIP: Click on the arrow next to the stock code. This lets you record opening numbers for each stock class. 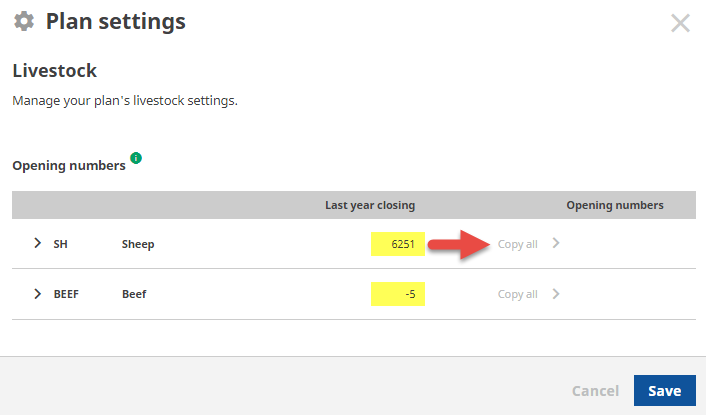 If there is more than one year of actual transactions in your farm business, you can quickly and easily copy last year’s closing numbers. Click on Copy all to copy last year’s closing numbers into this year’s opening.